This data story isn't recent, but I've just been reminded of it by Owen Youngman. 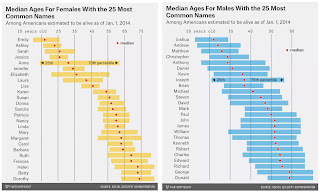 Back in 2014, FiveThirtyEight's Allison McCann (who will be at the DH+DH Symposium) and Nate Silver visualized the ages of people with a given name. They did it with several distribution charts, graphic forms that I wish would become more common in news media. 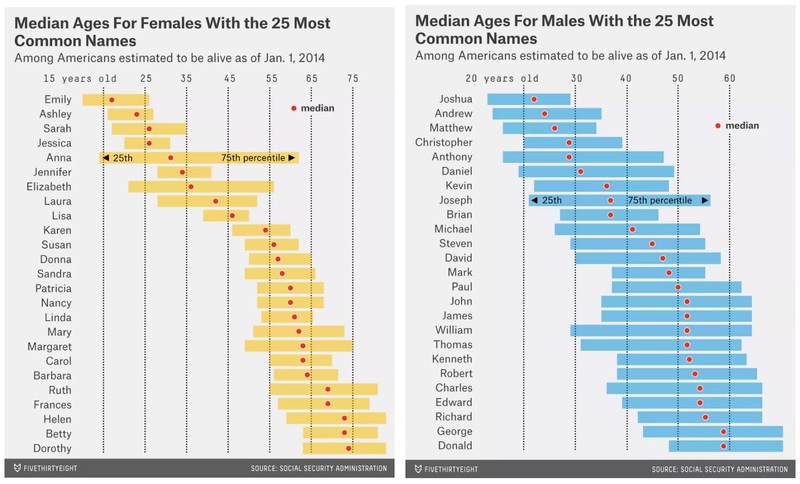 One year later, NYT's Amanda Cox declared 2015 “the year of the histogram.” As she said in that podcast, most people learn to make histograms in Kindergarten, but then many of us forget them for some reason. Let's bring them back!